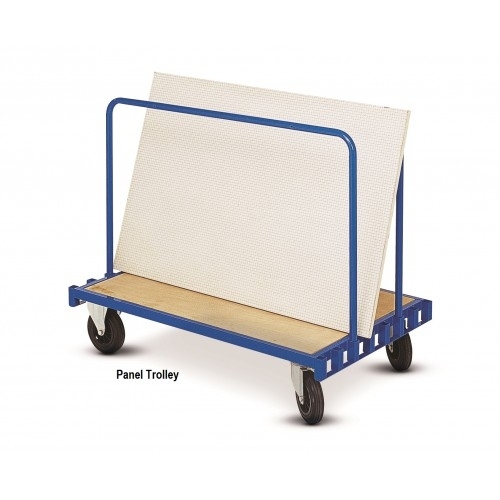 Panel and Board Trolley. Strong and robust construction. Store and move panels safely. Heavy duty castors (2 braked and 2 un-braked). Size (mm) 1335 (L) x 805 (W) x 1070 (H). Capacity 300 Kgs. Wheel diameter 200 (mm). IMPORTANT Our 14 Day Money Back Guarantee does NOT apply to these products.